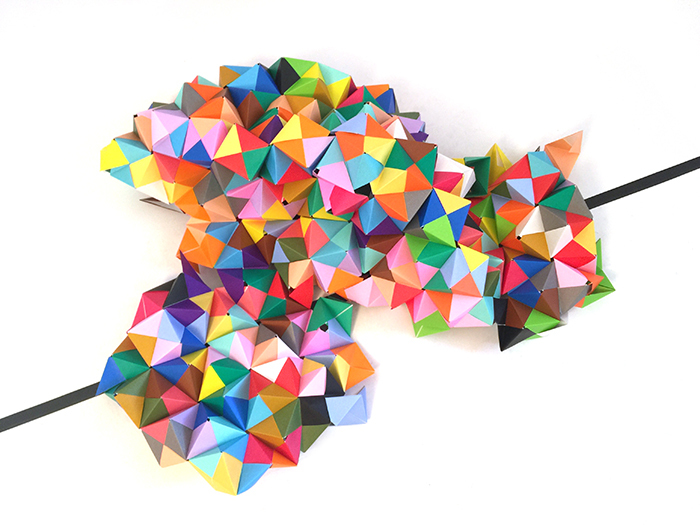 > This project was motivated partly by my interest in origami geometry, partly by a search for new subject matter for paintings. I have not painted images for a long time and was pondering what an appropriate subject matter would be. 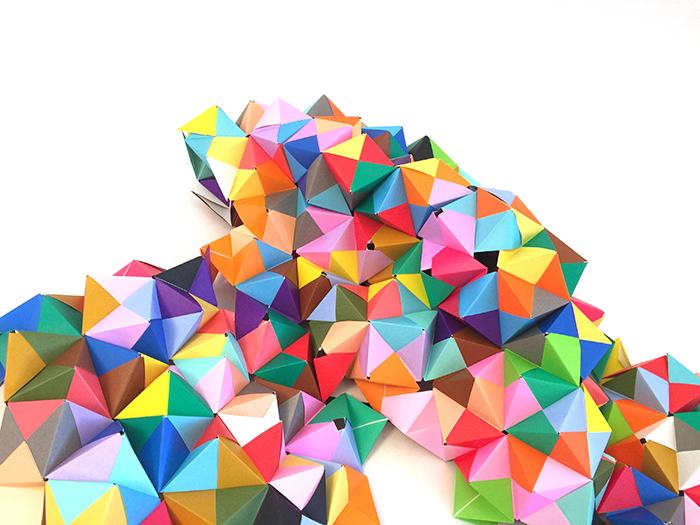 So the plan was to make a 270 sonobo unit origami ball in high contrast colours, photograph it in different light settings and use the photo as a basis for a series of paintings using borrowed marks for the different surfaces of the polygon. > In the event, the polygon wouldn’t hold it’s own weight as the paper was too flimsy. So I left it in a corner of the studio while pondering whether I could build an armature to support it. The dog finished it off by sleeping on it. 270 sonobo unit ball from Nina Rodin-Artist on Vimeo.